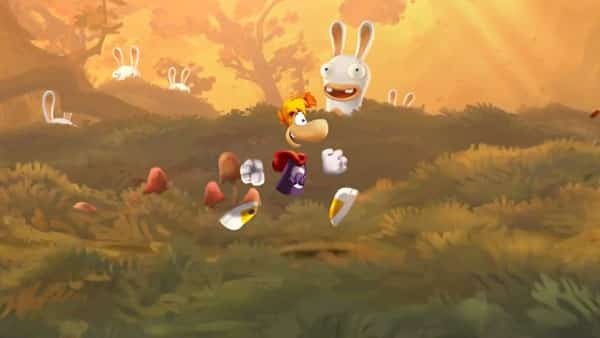 Having demonstrated the title during their E3 press conference, Ubisoft have now confirmed that Rayman Legends will be a Wii U exclusive. With Ubisoft Montpellier at the developmental helm, the Wii U GamePad is used within innovative ways to “explore fresh multiplayer gameplay experiences”, players using the controller in new ways to navigate through touch-based gameplay – taking out enemies, clearing paths and using the gyroscope technology to manipulate and rotate platforms. Rayman, Globox and the Teensies are back to embark on a new fantasy adventure through a series of legendary worlds with new environments, characters and enemies. You’ll also be able to connect with friends online, through a variety of challenges that will test skill and speed before ranking you on worldwide leaderboards.